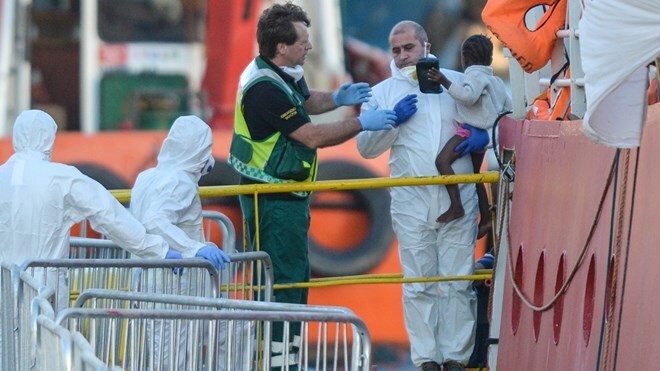 Tuesday, 2 April 2019 (RBB News) – Zainab* was the only person from the group of migrants on board the ship that was dumped on a rocky, foreign beach. It was a hot day in August 2016, and the then-17-year-old’s only possessions were the worn clothes on her back. Life on board the smugglers’ ship was tough. Zainab was the only girl there, and the ship’s crew did not specify the destination they were heading to, only to “Europe”. It was at Larnaca’s youth shelter where she met John*, now a close friend. “[Asylum seekers that don’t] belong to ethnic groups considered by Cypriot society as genuine refugees – such as Syrians or Palestinians” often face difficulty in getting applications processed, he said. Polykarpou blames the media and politicians for this attitude, which gained momentum in the wake of the 2007 economic crisis, as it was easier to blame refugees for the country’s dire economic situation. Al Jazeera contacted Cyprus’ Asylum Service several times for comment but did not receive a response. The government’s Social Welfare office gives subsidies of 100 euros a month for individual accommodation and 230 euros for a family, irrespective of its size. However, refugees told Al Jazeera that their payments arrive late or are not made. “You face a lot of frustration and they treat you in a humiliating way,” Zainab said. The money was later paid out, after the UN’s refugee agency intervened. “Sometimes, at the welfare office, they look at you up and down, the way you dress and tell you to change your hairstyle,” Zainab said. “The worst thing I could ever wish upon someone is for them to be an asylum seeker, especially in Cyprus,” John said. But the two friends are determined to keep their heads up and are grateful for each other’s presence. “When we are at school, we have each other’s backs,” Zainab said, referring to the high school scholarship they received at Casa College, in collaboration with UNHCR. “I want to study international relations to help refugees, asylum-seekers, migrants – the people that I have met here.